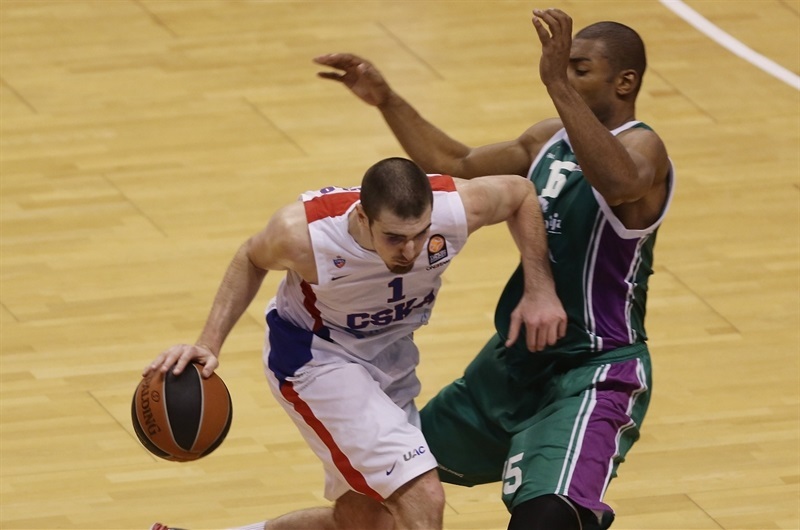 De Colo keeps CSKA unbeaten in overtime! 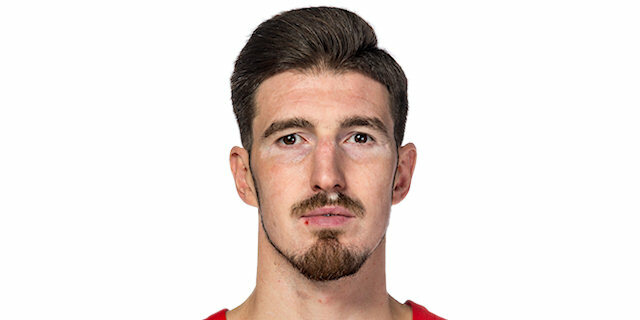 Nando De Colo's three-point play with 6 seconds left in overtime made CSKA Moscow the last unbeaten team left in the Turkish Airlines Euroleague this season by completing a 20-point, second-half comeback for a 75-76 road win over Unicaja Malaga. CSKA improved to 9-0, while Unicaja fell to 4-5, although both teams were already qualified for the Top 16. Unicaja still led by 56-39 late in the third quarter, when CSKA turned the game around with a 2-21 to take its first lead, 58-60, with 7 minutes left in the fourth. 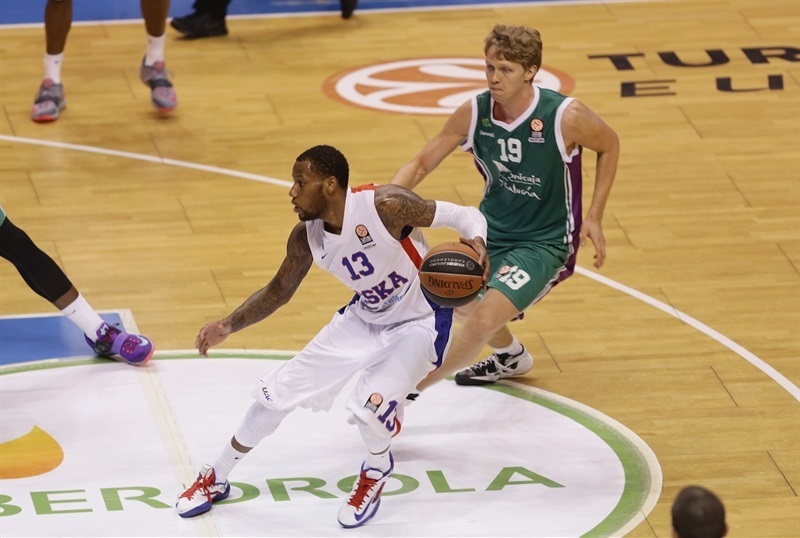 Sonny Weems forced overtime with the last basket of the fourth quarter and Unicaja led 75-71 with 29 seconds left in the extra period. That's when De Colo hit a layup and came back for another and the free throw that came with it to steal a victory and keep CSKA perfect in Group B. He finished with 22 points to lead the winners, who also got 12 points each from Weems and Andrey Vorontsevich. 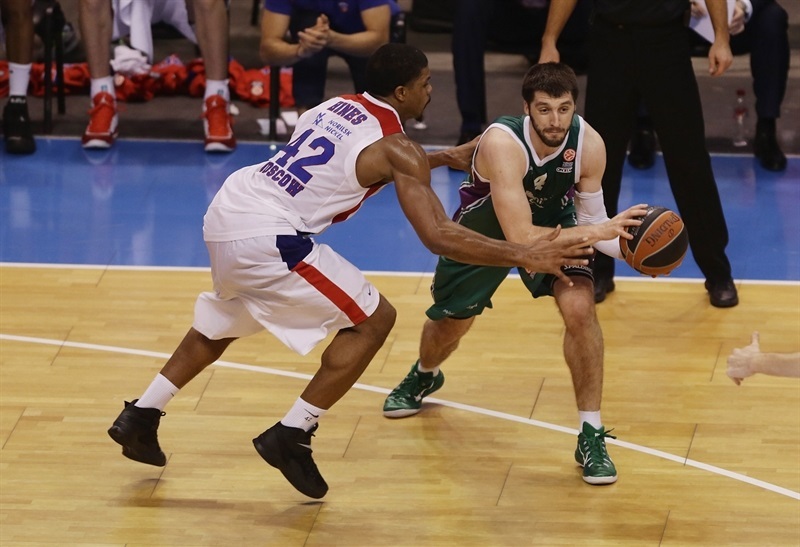 Jayson Granger and Caleb Green had 14 points each for Unicaja, Vladimir Golubovic posted a double-double of 12 and 10 rebounds, while Kostas Vasileiadis scored 11. Despite an amazing effort that saw it tie the Euroleague record for offensive rebounds with 25, Unicaja fell to its fifth defeat in the last six games. Mindaugas Kuzminskas scored a second-chance basket for Unicaja's first points, just before Weems answered in close for CSKA. 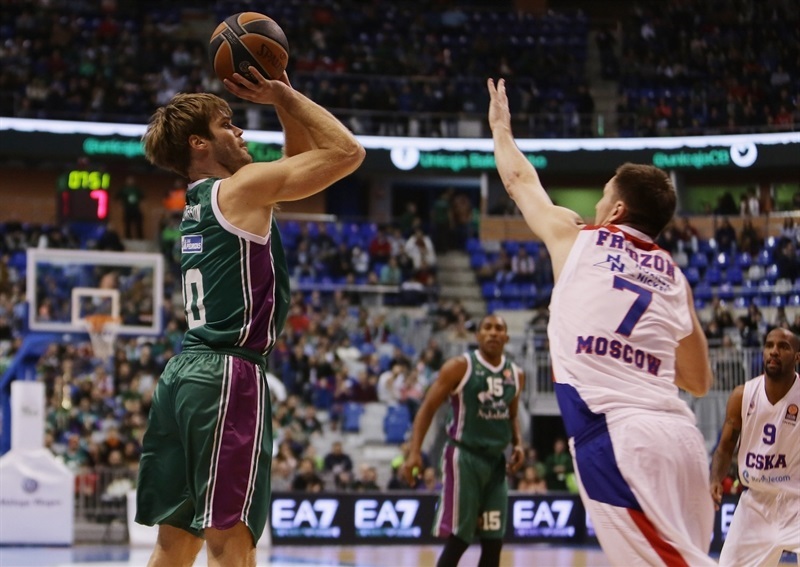 An offensive rebound let Golubovic put Unicaja ahead and yet another by Kuzminskas made it a 6-2 lead. Weems scored inside again but Kuzminskas got free on another cut to another basket. Jon Stefansson hit 1 of 2 free throws to make it 9-4. 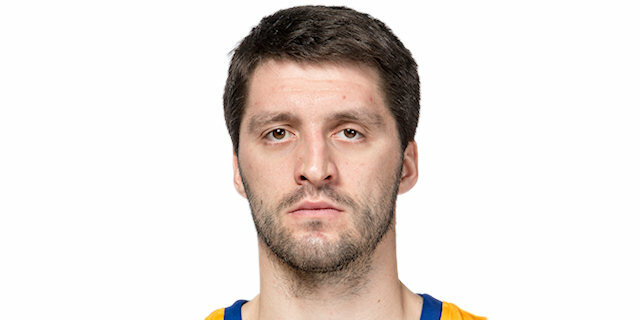 Vitaly Fridzon became CSKA's second scorer with a baseline reverse that Granger matched with a long jumper. Granger fed Golubovic for one easy layup and Will Thomas assisted him on another to suddenly make it 15-6. Thomas scored easily out of a timeout for a double-digit Unicaja lead before Sasha Kaun got a basket back for CSKA. Golubovic, with his fourth offensive rebound, earned 2 more free throws at 19-8. Demetrius Nichols struck for CSKA from the corner for the game's first three-pointer. Stefan Markovic got 1 point back at the line to end the first quarter 20-11 as Unicaja's offensive rebounding marked the difference. Pavel Korobkov took a feed from Weems to get CSKA closer to start the second quarter. Green answered, however, with Unicaja's first triple at 23-13. De Colo dropped a post-up one-hander for CSKA and Vasileiadis drilled a three-pointer in response. 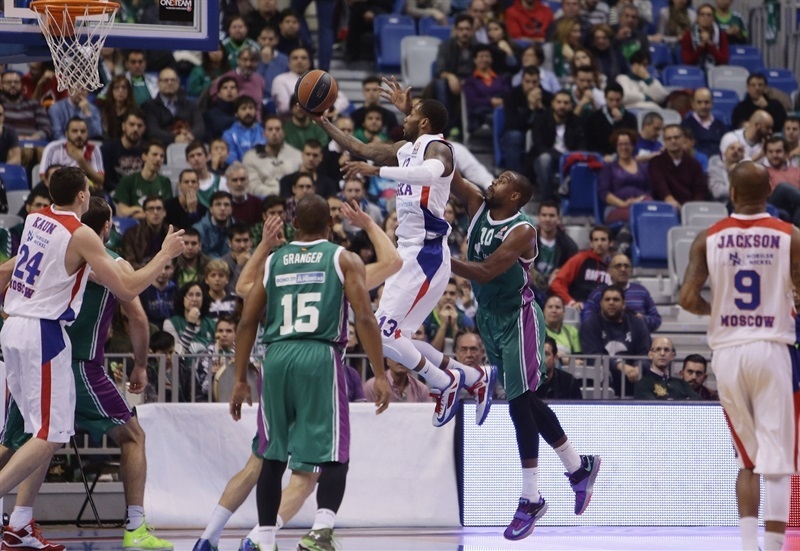 Hines put back a rare CSKA offensive rebound, but Green matched that inside at 28-19. Carlos Suarez stepped on court and blasted a corner triple before Thomas spun for a layup and the accompanying free throw to make it 34-19. Vorontsevich hit from downtown to stop Unicaja's 6-0 run, but the hosts got a layup and a runner from Granger to open up a 16-point lead, 38-22. Vorontsevich again stopped the bleeding for CSKA from long-range and then Fridzon stole and finished the break. After a timeout, Vasileiadis lifted the hosts with a triple and Golubovic returned to put back a missed layup for a 43-27 first-half finish powered by Unicaja's incredible 13 offensive rebounds in an overal 30-16 advantage on the boards. Aaron Jackson found De Colo alone inside for the second half's first basket. Granger had it much tougher but scored anyway to make it 45-29. Golubovic added to the lead by hitting both free throws after an unsportsmanlike foul. Granger completed that possession with a jumper for the game's first 20-point lead, 49-29. De Colo and Vasileiadis traded baskets before a tip-in by Hines and a steal-and-layup by De Colo cut the difference to 51-37. Within seconds, however, Green drilled a three-pointer. Weems fed Vorontsevich for a bank shot and Kuzminskas knocked down a jumper at 56-39. Hines scored 4 points in a row to lift CSKA closer, then after a timeout, the visitors found Weems for back-to-back triples that made it 56-49 after a 0-10 run at the end of 30 minutes. FOURTH QUARTER: Weems sends it to overtime! Manuchar Markoishvili hit his first points of the season after a long injury with a shot from downtown that Green answered with a lane jumper, Unicaja's first points in almost 5 minutes. Then Markoishvili did it again, cutting the difference to 58-55. Next, Fridzon got loose for a jumper, cutting the difference to just a point, 58-57. De Colo completed CSKA's comeback from 20 points behind with an acrobatic layup and the accompanying free throw, putting CSKA in front 58-60, the first lead of the game for the visitors. Unicaja relocated its fighting spirit then as first Green and then Suarez put back offensive rebounds to put the hosts in front again, 62-60, with under 4 minutes to play. Out of timeout, De Colo and Granger made 2 free throws each. Granger then upped Unicaja's lead to 66-62 on a driving layup with under 2 minutes left. De Colo again made 2 at the line before Weems answered Granger's drive with a game-tying one of his own and almost won the game at the buzzer before the two teams went to OT tied 66-66. OVERTIME: De Colo snatches victory at the finish! Vorontsevich started the extra period with free throws that Green matched with a jump hook in traffic. Vasileiadis put Unicaja ahead 70-68 with a jumper before Fridzon hit his first three-pointer in 4 tries to make it 70-71 for CSKA. Thomas reappeared with a basket to get Unicaja back on top before Vasileiadis downed a free throw on a technical foul against Weems. Fran Vazquez stole and scored, seeming to seal the victory for Unicaja at 75-71 with 29 seconds left. After a timeout, however, De Colo scored immediately on a layup with 29 seconds left in OT, then came up with an even better drive, was fouled by Vazquez and completed the go-ahead three-point play with 6 seconds left. Unicaja got a final shot to win it, but a corner shot by Suarez was just short and CSKA went home an comeback winner, the last perfect team in the Euroleague this season. "Taking the loss side, I think it was a spectacular game. I am very proud of my players. I am proud of seeing how they fought against a great team like CSKA. We managed to force overtime and had chances to win the game. We are talking about CSKA Moscow and we managed to compete against team at home and on the road. We played against players that have been to many Final Fours and in the NBA. I am more than satisfied and this game will help us grow and improve many aspects of our game. The most important thing is that the team competes against everyone. We play with pride." "It was a fantastic Euroleague game between two great teams. This is a great win for us. We have seen two very different halves in this game. In the first half, Unicaja was really aggressive at both ends. We talked during the break that we had to change the game and started to play better defense from that moment. We controlled the game better in the second half and managed to get the win. Either of the teams could have won the game. Every time I come to Malaga, I find a great atmosphere in the arena, with fans that support their team a lot. 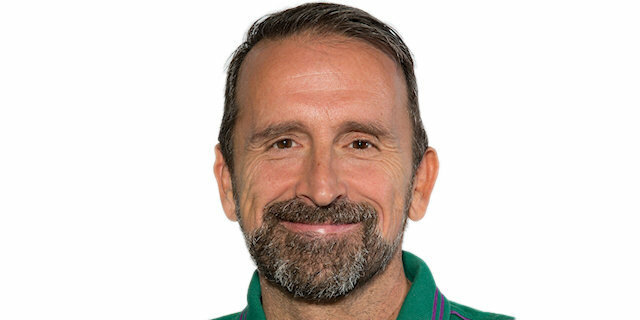 I congratulate all of my players. Nando De Colo was one of the players that did better in this second half. He gave us a lot, even though all of my players did really well in the second half. They all helped, it was a team win." "It was a shame to lose this match. We started very well, with great pace, defending well and with confidence. In the first half, our team played very well. After the break, CSKA improved. They defended more aggressively, they began to make three-pointers. In the last 10 minutes, it became a very even match. We had clear ideas in attack but did not get scores easily. We fought until the end and were able to force the extra time. Those five minutes we fought, too. We were in the game until the end." "We have achieved a great victory today in Malaga. They started the game very well, very focused, and we were not able to stop their good start. They went ahead by a lot on the scoreboard, but we believed in ourselves and we gradually reduced their lead. We began to defend better after the break and we made it to the fourth quarter with the score tied. From there, the game started again. It's been fifteen minutes of struggle. Both teams could have won, but in the end we took the victory to Moscow. We are very happy with the game we've played."